1. Make a reservation. 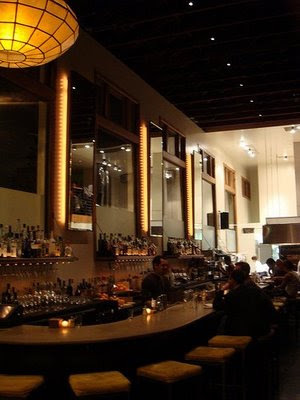 NOPA's busy and booked and bustling (all for good reason). 2. Go with friends. Dining is better with a buddy. Even better with buddies. 4. Skip the radish taste. Why? Because I hate radishes. If they're offering something else, you have my permission to enjoy it. 6. Talk to your server. I am amazed by their attention to the details and knowledge about the food. Oh, and they're quite often cute, so who knows. . .
7. If the asparagus is in season, you MUST get it. Prepared by NOPA, it is the most delicious vegetable ever. 8. Did I mention the wine? 9. Close your eyes, point to the menu, and pick. It will be good. If you chose the pork chop, it will be phenomenal. 10. Eat, consume, revel in the moment, the flavors, the company of friends. Ignore the din (better yet, add to it), and enjoy the fact that you're eating delicious, natural, local food. And have dessert, of course.